Girl, 12, killed when natural gas filled her home, ignited and destroyed her home on Feb. 23, 2018. Videos the child was making that morning were shared by her family as a warning to families to install natural gas detectors. Girl's family has filed a lawsuit against Atmos Energy, saying negligence led to the death of their child. 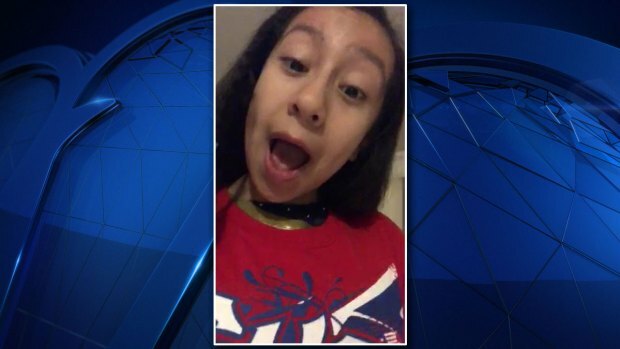 The family of Linda "Michelita" Rogers, the 12-year-old girl killed in a natural gas explosion in her Dallas home in Feb. 23, 2018, released a series of videos Tuesday showing the girl's final moments. Wednesday, her mother Maria Rogers said the family is suing gas provider Atmos Energy and releasing the video to push for better safety. "I think they take action after my daughter passed away, but they need to take more," she said. 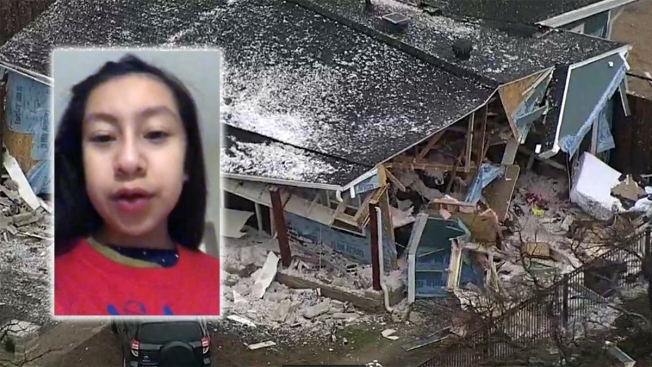 Attorney Ted Lyon, who is representing the Rogers' family in a negligence suit against Atmos, said the videos were retrieved from the girl's phone after it was found in the rubble by her father. We have edited the video to remove the sparks at the end. "The fact that she died was a horrible tragedy. The father was at the scene and he was looking through his house, and he prayed to God about his little girl, and he looked down at his foot and he was standing on that phone -- in the rubble," Lyon told NBC 5. The videos show Rogers getting ready that Friday morning, waking up in her darkened room at her home on Espanola Drive excitedly whispering about an upcoming cheerleading competition with her Falcons Cheer Elite Squad. In the first of clips, Rogers said she was up at 6 a.m. to begin getting ready for the day's event. In the second video, Rogers had turned on the light in her room and was talking about what she was going to do to her hair that day. In the third and final clip, Rogers recorded a time-lapse video showing her curling her hair in the kitchen. The video ends with a quick flash of sparks and then darkness. "It shows the snuffing out of a life, almost instantly," Lyon said. The girl's parents and older brother were asleep in the house at the time of the explosion. They survived with serious injuries. Donnie Rogers, 16, said he has trouble sleeping now because he often relives the shaking and noise of the explosion. "It’s everything, but perhaps most it’s the dreams where it’s me with my sister and she would still be living, which is very hard for me." The teenager said he was very protective of his little sister. "She was my sister and I love my sister," he said. The family's negligence suit claims the victims had no warning natural gas had filled their home and that the smell added to alert people to the presence of gas had somehow been stripped away. It raises the issue of odor fade, which can occur when leaking natural gas rises through soil. A new Atmos safety flier now being sent to customers mentions the possibility, but Maria Rogers said the family received no such information before the explosion. Atmos, meanwhile, had been working in their neighborhood for several days after two previous gas-related incidents were reported on Feb. 21 and Feb. 22. The Rogers family said they were assured they were safe to stay in their homes while the repair work was completed. Evacuations were ordered in the neighborhood after the fatal explosion. In a report following the explosion, Atmos said the gas distribution system in the Northwest Dallas neighborhood had been performing properly prior to unprecedented February rain. Coupled with unique soil conditions in that neighborhood, the company said the explosion was the result of unique circumstances that could not have been expected. Since the explosion, Atmos said it has replaced 98 miles of pipe in Dallas, which is 75 percent more than all of what was replaced in 2017. Additionally, Atmos has brought on 75 contract crews, a 250 percent increase over 2017, to conduct the work. They have also filed the 8.209 supplement "which outlined our plans for accelerated pipe replacement, including the complete removal of cast iron by December 2021. Attorney Ted Lyon said there are more old gas lines still leaking in the Dallas area that Atmos has not yet replaced. "Why don’t you have a better warning system," Lyon said. "Why don’t you advise people to get a gas detector, which are available, or why don’t you furnish them?" "The heartbreaking incident on Espanola Drive that resulted in the death of 12 year-old Linda Rogers continues to weigh heavily on everyone at the company. We live in the same communities where we work. Our families, friends and neighbors live in the homes we serve. We are intensely dedicated to safety." "We odorize natural gas so that it is “readily detectable by a person with a normal sense of smell” as required by federal and state regulations. The odorant we use in our Mid-Tex Division adds a “rotten egg” odor to natural gas. Our technicians conduct periodic sampling with instruments to assure the proper concentration of odorant throughout our pipeline system." "For most people, the sense of smell is a highly reliable indicator of natural gas release. However, continued exposure can desensitize the sense of smell. In certain rare conditions, the odor intensity can be diminished by physical and/or chemical processes, such as when gas passes through certain soil conditions." The latest Atmos safety brochure urges customers to use all senses—smell, listen, and look—to check for signs of a leak, leave the premises immediately and call 911 and Atmos Energy at 1-866-322-8667. NBC 5's Ken Kalthoff, Diana Zoga and Jack Douglas Jr. contributed to this report.